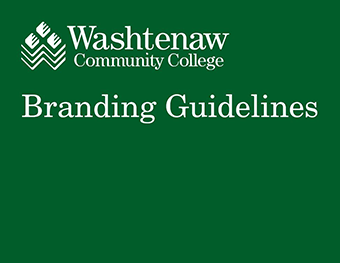 The official Washtenaw Community College logo is the two-line stacked logo. This logo should be used in color whenever possible. This page includes downloadable versions of the college logo in the permissible colors. The EPS format is preferred for print usage and the PNG format is suitable for electronic presentations and online usage.